Last week I shared with you an Art Nouveau Wedding Invitation I designed this past summer for a good friend. 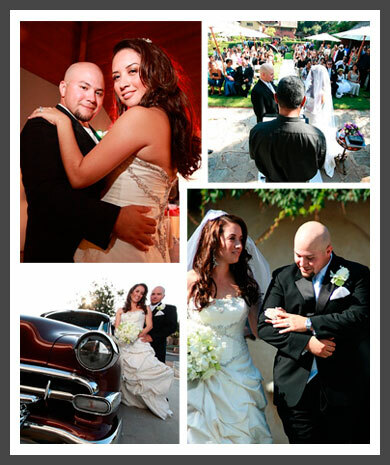 Well, lucky us, Priscilla & Michael have shared some gorgeous pix from their fabulous celebration. Here's a couple visual + sparkles to inspire your upcoming Wedding...check out the great style these two have! The dress was gorgeous...and what about that vintage car?! Fabulous! The ceremony was held at the always quaint Marston House Garden, perfect for a summer wedding. 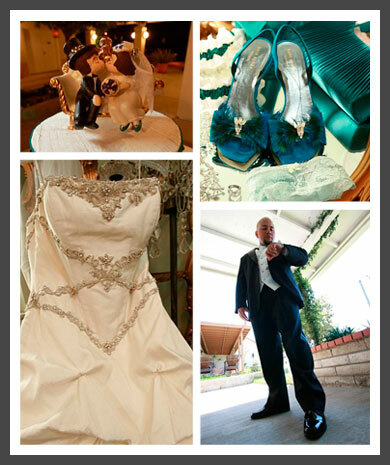 Priscilla accented her Wedding attire with these luxurious, teal heals and it was the great vintage touch. Thank you to Priscilla & Michael for these great images. Your Wedding celebration was sure memorable and I so enjoyed designing your invitations.